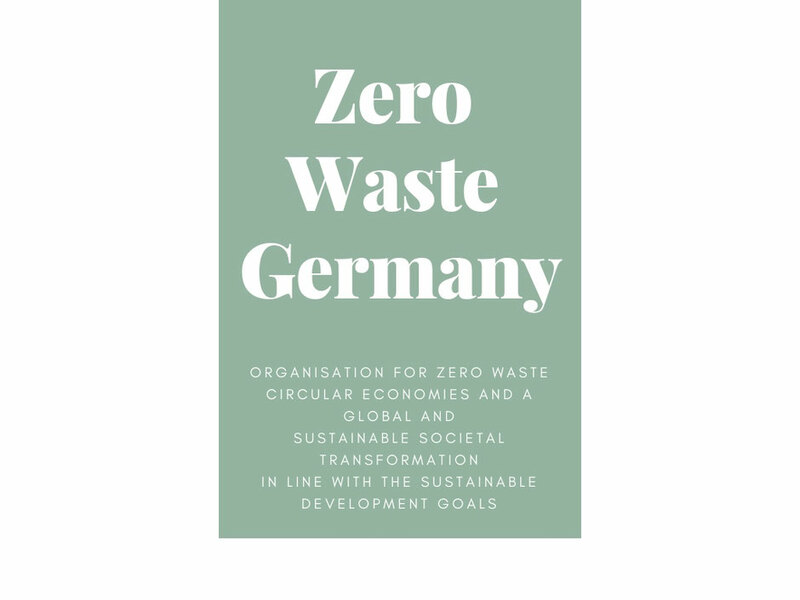 Zero Waste Germany is a non-profit organisation with a focus on the promotion of circular thinking in terms of circular economies, circular production and product life-cycles as well as zero waste cities. Our goal is a sustainable and global societal transformation full of innovation and fit for the future ahead of us and future generations to come, all in line with the UN Sustainable Development Goals. 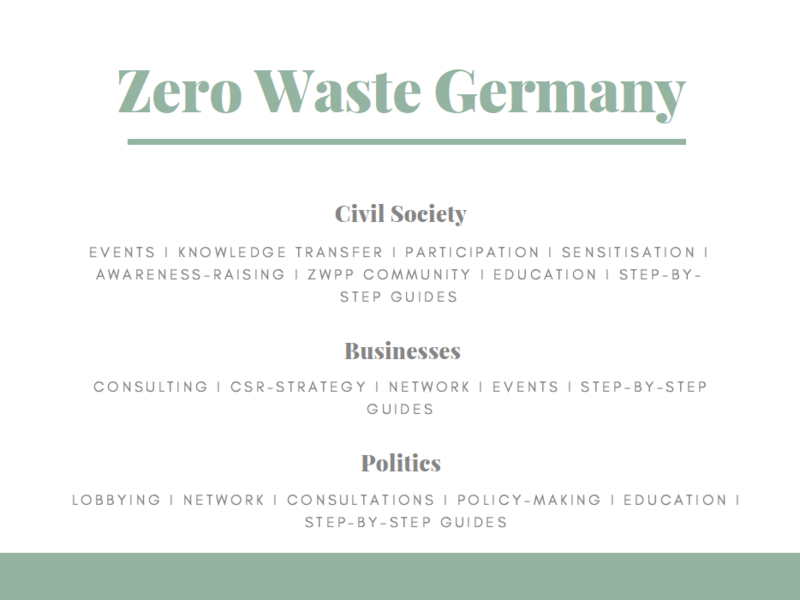 We aim to inform civil society, businesses, stakeholder and politicians with regards to sustainable circular thinking and motivate and support their transformative efforts along the way to a more sustainable future for all of us. Therefore, we offer services such as talks and workshops as part of our Sustainability Education programme for civil society. This allows us to conduct knowledge-transfer, enhance sensitisation and participation for the topic. 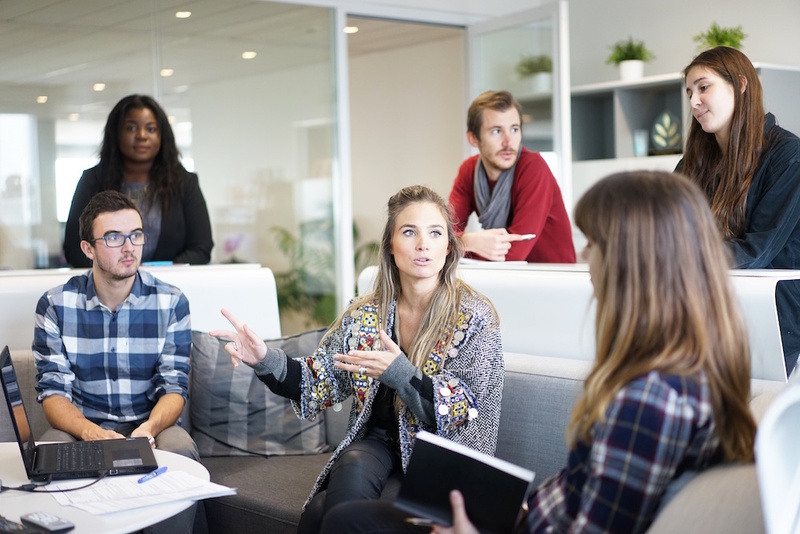 With regards to businesses we offer CSR strategies, business consultations, networking opportunities and guidance for more sustainable business practices. Our focus with regards to politics are our lobbying work and political agenda setting to ensure the issue is part of the agenda and moreover, actions follow. 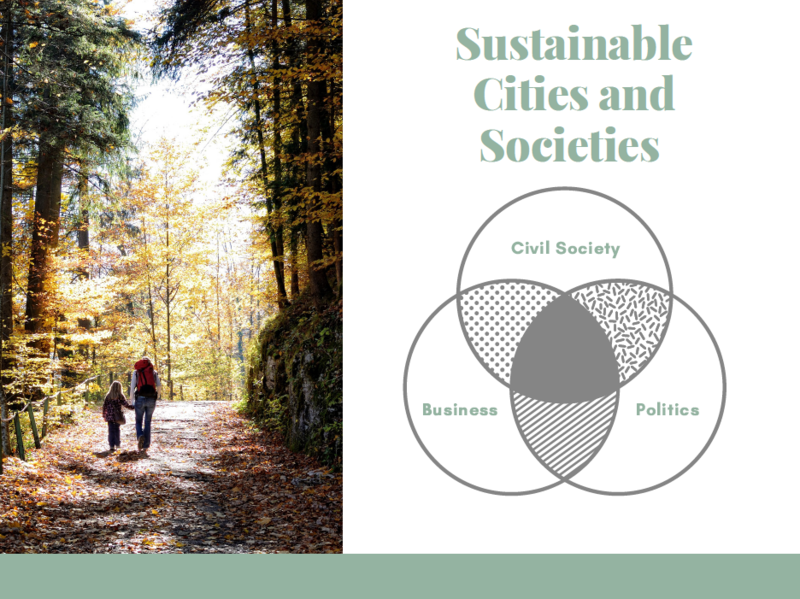 You are part of civil society and want to get involved in order to do your bit for a more sustainable future for all of us? You can get started here. You are part of a business and want to further enhance your competitive advantage? Find out how over here. You are in politics and want to make sustainability a priority?Find out more here. We look forward to working with you for a better future for all of us.